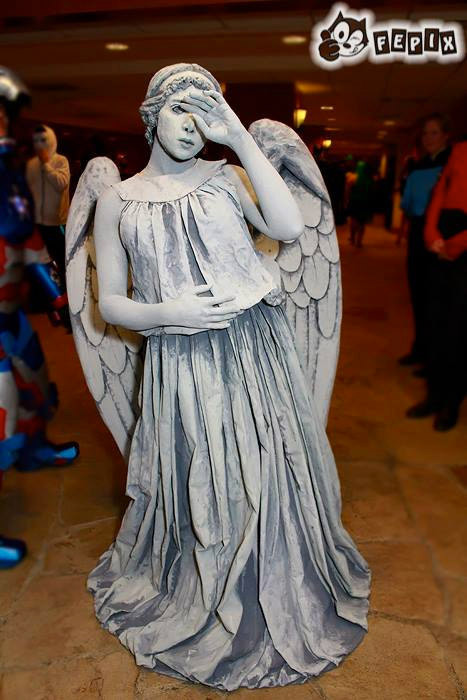 Textile artist and cosplayer Kitty Krell (aka “Crimson Rose”) created an incredible weeping angel costume which she wore to Starfest 2013. It’s made with a fabric dress painted with acrylic. 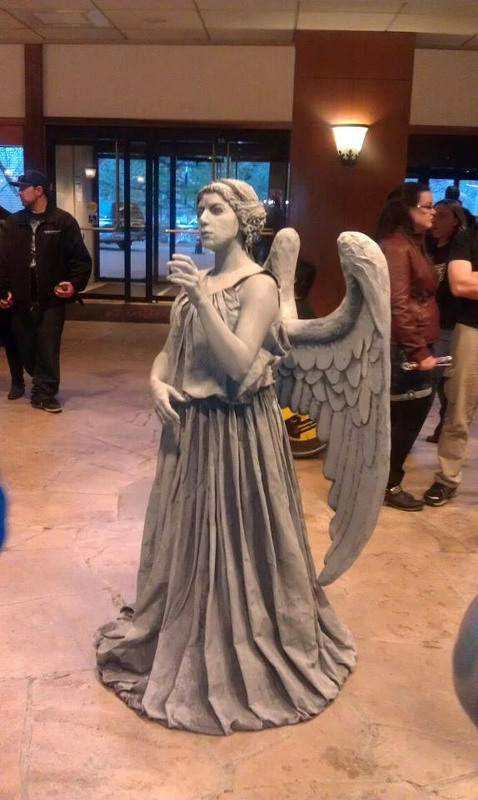 The mask and hair are cast in latex and the incredible wings are expanding insulation foam which is sealed. It actually takes several steps to complete the wings with the feathers and all the details, but she says they are very lightweight in the end. You can have Krell make you a custom version of this very creepy costume thanks to her Etsy listing. 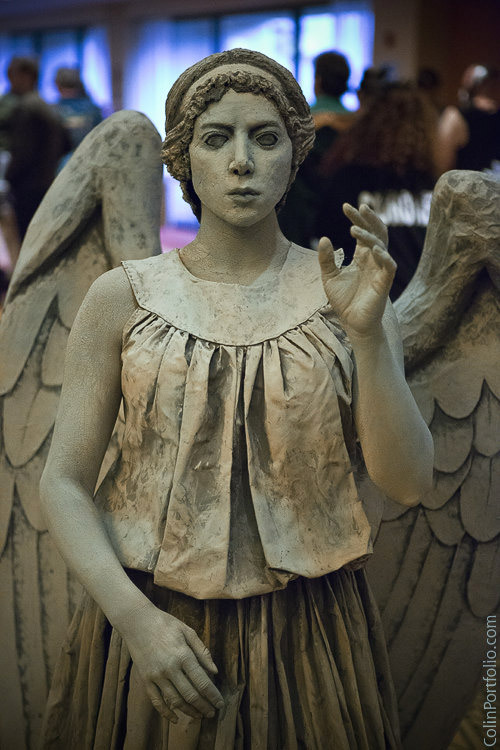 It would be great fun to show up at your next sci-fi convention dressed as a Weeping Angel and scare the bejesus out of everyone.